Welcome to Sun City! 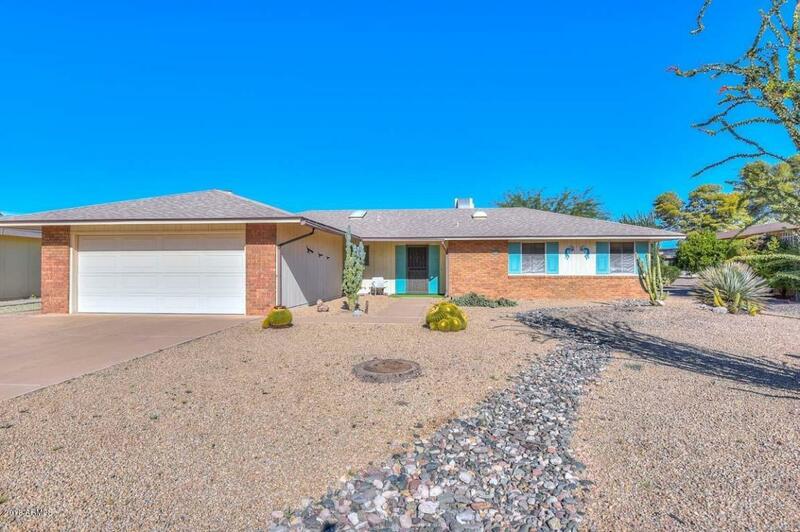 Sun City is a popular age restricted 55+ community with 7 recreation centers and 6 golf courses, community center, pool, spa, fitness center and more. This immaculate well-kept home features 1,385 square feet, 2 bedrooms, 1.75 baths and 2 car garage. Wonderful floor plan with the great room overlooking the screened in Arizona room. The galley kitchen comes complete with a full appliance package. The large master bedroom has a walk in closet and vanity. The laundry room has a sink and plenty of space for your hobbies or office area. The garage features built-in cabinets, work bench and an area for a golf chart as well. This home also had the roof replaced in 2015. Do not wait to call it yours.